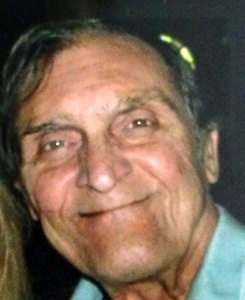 Lee Joseph Cucar, 71, of Olathe, passed away on April 5th at Olathe Health Hospice Center. He leaves behind his wife, Celeste, of whom he was married over forty years. He is preceded in death by his parents, Anthony and Maria Cucar, and his sister Santina. He leaves behind his brother, John (Cheryl), of Kansas City, and children, Dominic, of Olathe, Damian (Diane) of Moline, Kansas, Danielle (Rob), of Merriam and Tony (Nisha) of Overland Park. He also leaves behind nine grandchildren, many nieces and nephews, and his cousin Maria (Anthony) of Gladstone. He was born in Valle, d’Istria, Italy, on August 18, 1945. He came to the United States in 1951 as a child and his family lived for several years in Eveleth, Minnesota. The family then moved to the Kansas City area where he lived for the rest of his life. He was a graduate of De La Salle High School in Kansas City, MO. He worked as a fireman for the City of Leawood before working as a ceramic tile installer. He worked in the construction industry for over fifty years. In his younger days, Lee enjoyed golf, bowling, swimming, water skiing and traveling. In his older years he enjoyed remodeling, family vacations, holiday gatherings, listening to jazz, making stained glass and spending time with his grandchildren. He was a member of Prince of Peace Catholic Church in Olathe, and raised his children to be strong in the Catholic Faith. He and Celeste attended Perpetual Adoration weekly and Mass as often as possible. Lee will be greatly missed. He was well loved by all and will be remembered for his sense of humor, kindness and ability to work well with others. Visitation will be 10 AM on April 10, 2017 at Prince of Peace Catholic Church, located at 16000 W 143rd St, Olathe, KS 66062, followed by the Mass for Christian Burial at 11 AM. Interment will be at Queen of the Holy Rosary Church, located at 22779 Metcalf Rd, Bucyrus, KS 66013. The family asks that memorial contributions be given to Prince of Peace Catholic Church or to the American Lung Association.